As a pet owner, it’s your solemn duty to provide your pet fishes a healthy and comfortable habitat. The Best Fish tanks provide the fishes with the safest environmental condition. It’s vital that you get a fish tank with great features to provide them with a nice living space. Having a fish tank in the room will definitely brighten up your day. They are not only fun to look at but they’ll bring charm along with them. However, making the wrong choice could be fatal and it might even result in fishes’ deaths. There are countless fish tanks available in the market. Yet, not all of them will provide the same amount of comfort and safety to the fishes. Fish tanks come in different sizes and textures. So, it is important that you pick the right one to make sure the fishes enjoy living in the tank. Out of the numerous fish tanks out there, we have picked ten best aquariums that will create a safe haven for your fishes. Let’s take a look at our top picks. SeaClear is known for making top-notch aquariums and their Acrylic Combo Set is one of their finest. 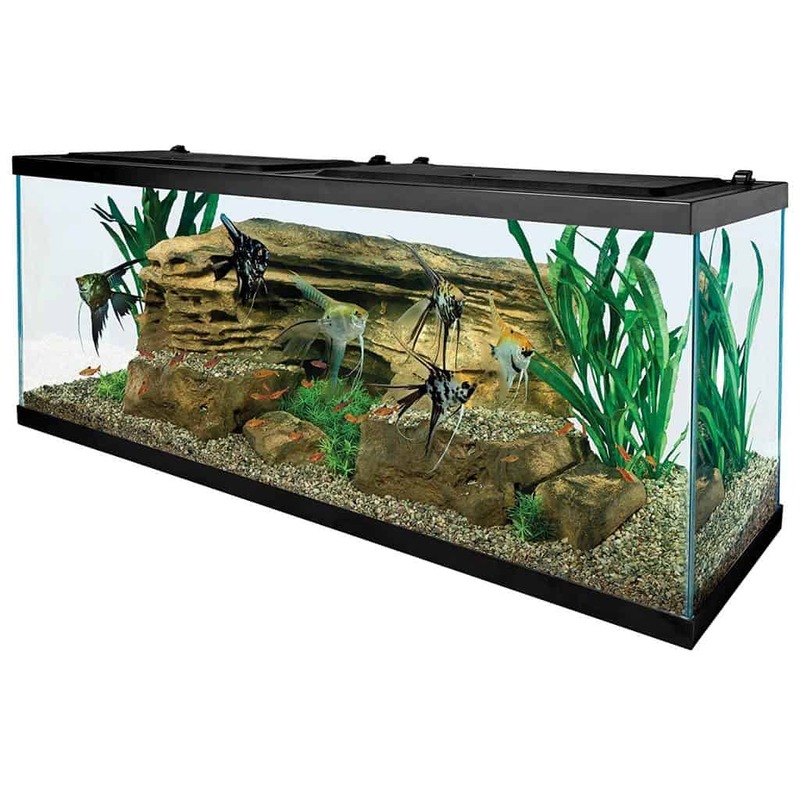 This tank has a dimension of 36 x 15 x 20 inches and it’s spacious enough to provide the fishes with a comfortable living area. Acrylic aquariums are a lot stronger and durable than a glass aquarium. It’s also clearer than glass so you’ll also get a better view at the fishes. It can house both saltwater and freshwater fishes. It’s also less prone to cracks, therefore, it would be an excellent choice if you’ve children or pets in your home. It comes in various sizes and shapes. 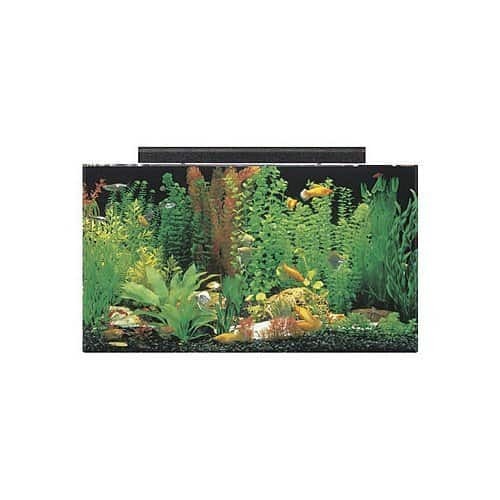 The variant we have chosen for this review is the 50-gallon rectangular version as it does a fantastic job when it comes about providing the fishes with a safe environment. It can house a number of fishes along with plants and decorations which will increase the beauty of the tank and also give the fishes some places to hide and live peacefully. It doesn’t include any filter or heater so these equipment needs to be bought separately. If you’re looking for an extremely durable glass with high-quality material then get your hands on the Tetra 20 gallon Complete Aquarium Kit. These aquariums are made with superfine scratch-proof glass that’s made to last. This tank has a dimension of 24.2″ L x 12.4″ W x 16.7″ H that will provide plenty of spaces to the marine species to roam around the tank. It features an LED hood that mimics the daytime effect which will provide a natural wild vibe to the fishes. It also includes a top-notch filter which has a whisper-quiet operation and if effectively eliminates all the unwanted, debris, leftover foods and toxins. There’s also a Mini UL heater which comes really handy if you’re planning to keep tropical fishes in the tank. 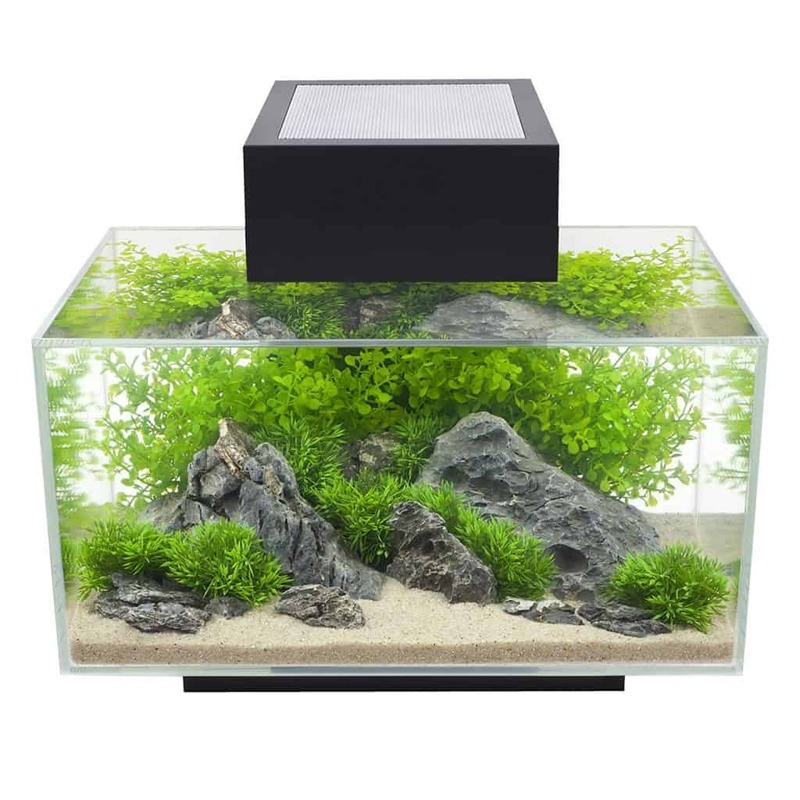 The Tetra Complete Aquarium Kits includes four decorative plants in total. These plants create a natural vibe inside the aquarium and give it a more aesthetic look. 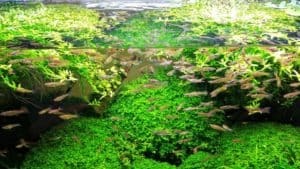 The plants also resemble the actual plant in the river or sea which will give the fishes a subtle experience of living in the wild. 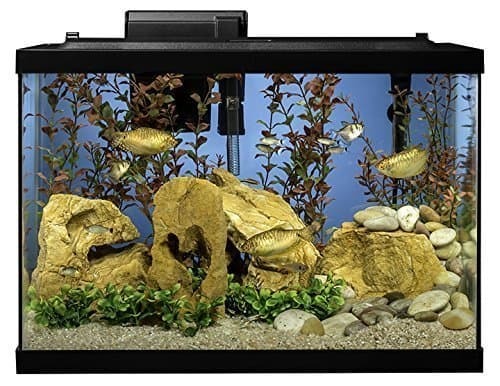 If you’re looking for a great fish tank that will provide plenty of space along with safety to your fishes then look no further, give the Aqueon Aquarium Fish Tank LED Kit a try. It’s a superb 20-gallon fish tank that offers great features and the best part is, all these awesomeness come at a very reasonable price. It has a dimension of 24.2 x 12.5 x 19.5 inches which provides enough spaces for the fishes to roam around freely. It has a super easy setup procedure and the process can be done with just 5 simple steps. As you can guess from the name that it comes with a vibrant LED light on the hood that will brighten up the aquarium and give it a better clear view. The Aqueon Fish Tank comes with a QuietFlow filter that has a low-noise operation and it thoroughly cleans the tank from all sorts of impurities and toxins. It also includes a 100W preset heater that’s a perfect fit for tropical fishes. You’ll also get a stick of thermometer, water conditioner and fishnet with this kit. The Tetra 55-Gallon Aquarium Kit is a complete aquarium kit that comes with all the necessary equipment needed to run the aquarium. It provides a sufficient amount of space to the fishes to thrive in the safest possible environment. The size of the tank is one of the best features of this tank as it has a dimension 51.9 x 16.4 x 24.4 inches. It comes with an outstanding stand which can easily hold the weight of the tank. It’s made using extremely durable glass that can easily handle strains. Setting up the Tetra 55-gallon is as easy as a breeze. The processes are quite simple and you don’t need any professional help because the manual includes detailed information about the steps. It’s a complete kit that includes all the necessary items required to set up the tank. It comes with a 200W heater that will provide a favorable temperature to the fishes. Also, the filter provides an optimum amount of filtration removing all traces of impure substances. You’ll get a few decorative pieces to enhance the beauty of the tank. Marina is known for making top-notch aquarium kits and their LED aquarium kit is no different. It comes with a 20-gallon tank and multiple other equipment which makes it an absolute steal for the price. There are many aquarium kits that will give you a hard time with the setup process but you’ll face no such difficulties with the Marina LED Aquarium Kit. It includes a clear instruction manual that contains detailed instruction on how to set the aquarium up. 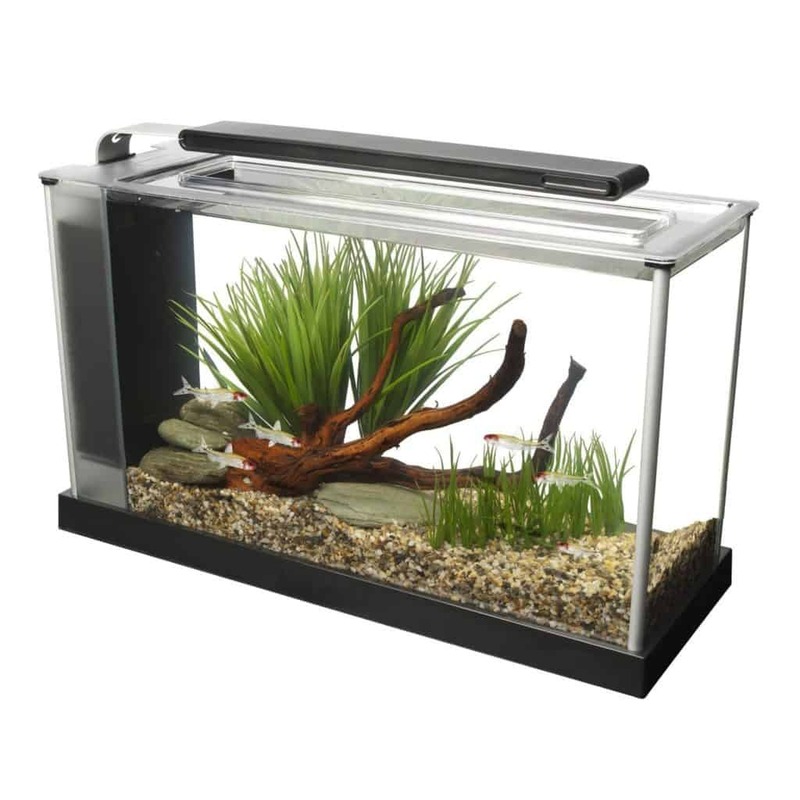 The tank has a dimension of 24″ L x 12.5″ W x 16.5″ H which provides plenty of spaces to the fishes. The tank’s body is made with super durable glass that can take some heavy beatings. The tank also has an LED light that creates a natural daytime effect inside the tank. The Marina LED kit includes a super fine filter that will make the tank squeaky clean with its incredible filtration process. The quick changing filtration cartridges help you to make the filtration process quicker and more hassle-free. 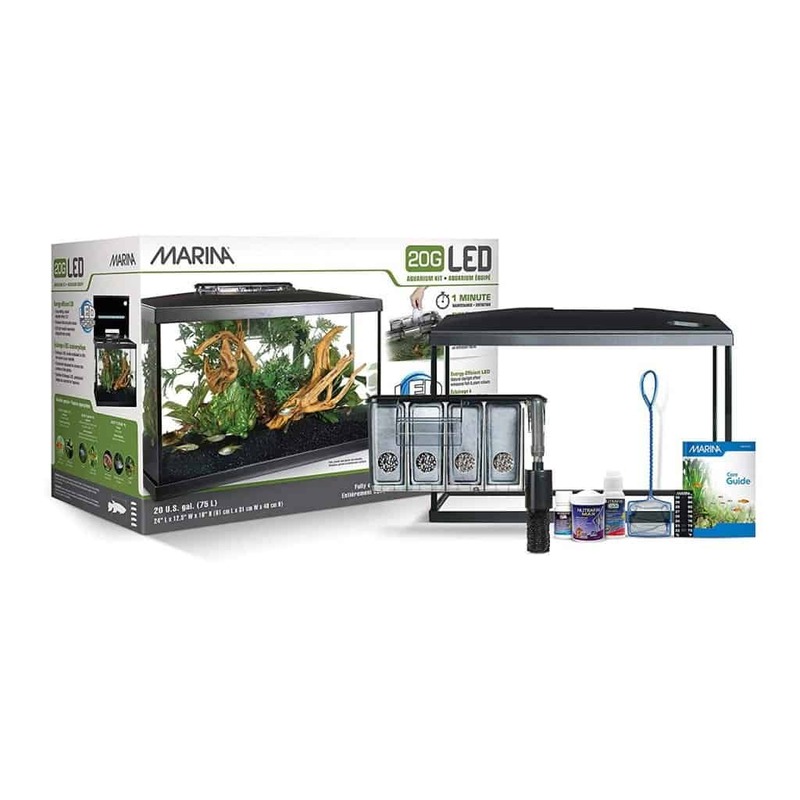 The MarineLand 5 Gallon Portrait Glass LED Aquarium Kit is a perfect fit for the people who’re looking for a small yet elegant fish tank so house your favorite fishes. Despite the small size, it’s extremely durable and lasts you a long time. 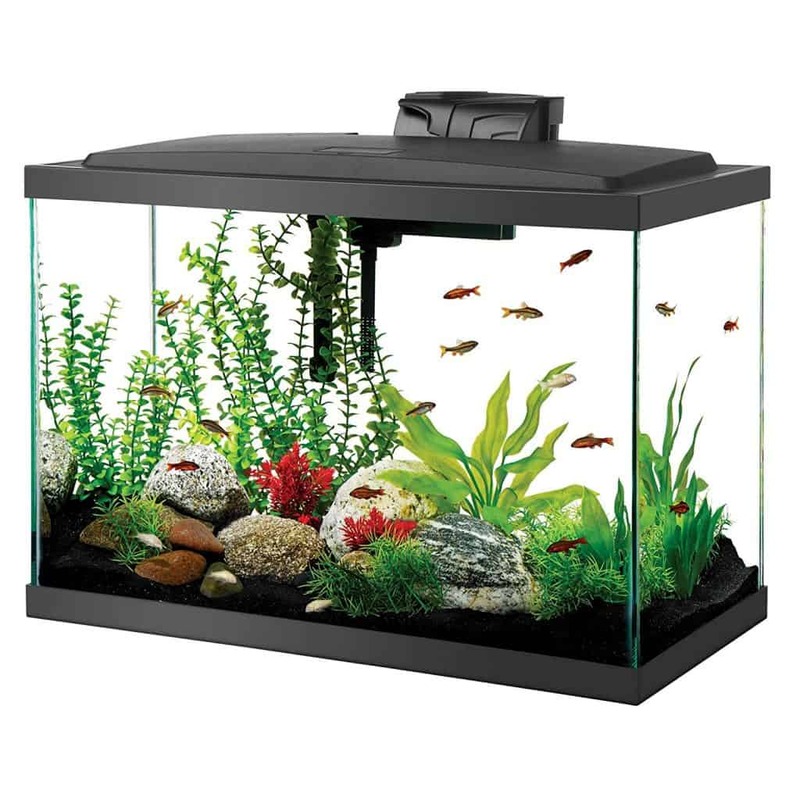 This tank has an adjustable setting which makes it suitable for you to keep various types of fishes and it’s suitable for both saltwater and freshwater fishes. It can hold around 5-gallon of water so this aquarium will not be the best choice if you plan to keep large fishes in the tank. The filter that comes with the kit has excellent performance and its 3-stage filtration process thoroughly cleans the water. The filtration system is super quiet which is great for the people with sensitive ears as you’ll not be bothered by the constant noise some filters tend to make. In this tank, the fishes will be blessed with the best of both worlds. It features a white LED light that creates a vibrant atmosphere which mimics the natural habitat of the fishes. It’s also equipped a blue LED light that provides a moonlit glow and mimics the nighttime atmosphere. The Fluval Spec V Aquarium Kit is another superb nano aquarium kit suitable for small fishes and marine creatures. 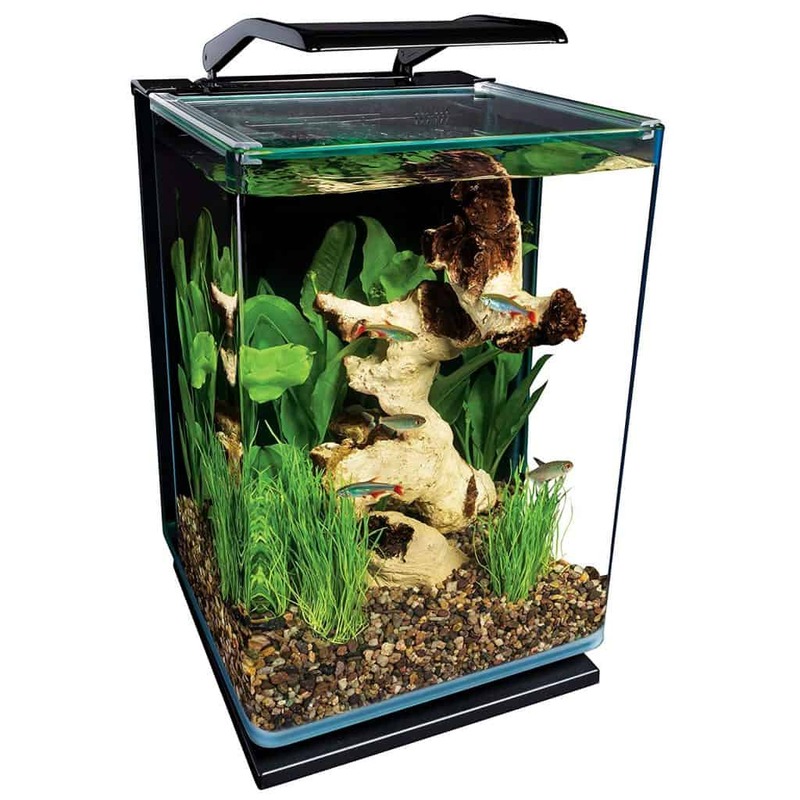 It’s a 5-gallon aquarium with an outstanding build quality and material. It’s a great fit for the beginners who’re willing to start small. It has some very simple setup procedures and there’s also a manual guide included with clear instructions. It’s a small aquarium suitable for small fishes and some decorative plants. It includes a top quality LED light that shines 20% brighter than the regular LED light and creates a vibrant atmosphere inside the tank. The Fluval Spec V comes with a great quality filter that can perform the three-stage filtration process so that the fishes can enjoy a clean healthy water environment. It gets rid of all the fish waste, leftover fish foods, and toxins thus making the water more suitable for the fishes to thrive. It also contains foam block, activated carbon and BioMax bio rings to perform more thorough cleaning procedures to keep the tank and the water clean. Also, these heavy filtration process eases up the maintenance work. The MarineLand Contour Glass Aquarium Kit is a compact and super affordable kit that will surely take your fish-keeping journey to a great new level. Along with the unfathomable joy of having pet fishes, its stunning design will enhance the beauty of your room to a great extent. It’s made with durable glass material that can house both saltwater and freshwater fishes. It features a bright LED light which illuminates the tank and helps you have a better look at the fishes. It can mimic both moonlight and sunlight effect so that the fishes can get a natural feeling even when they’re inside the tank. Filtration is one of the most vital aspects for every fish tank and MarineLand has done a phenomenal job in this sector. This kit comes with a top-notch filter that cleans all traces of impurities from water and creates a safe haven for the fishes. It also comes with an adjustable flow rate which comes really handy as sometimes the preset flow rate can be too harsh for the small delicate fishes. 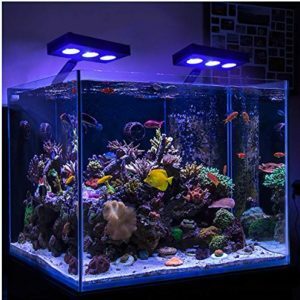 You want an aquarium with a splash of colors and lively corals then think no more and get your hands on the Coralife Biocube LED Aquarium Kit. 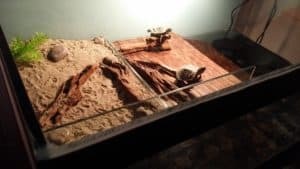 Having this aquarium can be a lot more work than a regular one with little decorative pieces, but all will be worth it when you take at the beautiful marine species’ right before your eyes. The tank has a dimension of 15 x 16.8 x 17.5 inches that can hold 16-gallons of water. It’s made using high-quality glass that will provide a crystal clear view at the corals. It’s a dream for every aquarist to have a view of the corals deep down the water and this tank will definitely make those dreams come true. What good would be a coral tank if you can’t have a clear look at them, right? Well, this tank features an excellent LED light that can replicate moonlight, sunlight and color enhancing light to create a surreal effect inside the tank. It also features advanced technology which changes the light settings after every 30 minutes or 60 minutes to mimic the natural day cycle. It also has a filter that properly cleans the tank to keep a healthy and safe environment for the fishes and the corals. If you’re looking for a powerful aquarium kit with incredible features then look no more because Fluval got you covered. The Fluval Edge Aquarium with LED Light comes with a number of outstanding features that will blow your mind away. Fluval has gone an extra mile with the design of this bad body. They have incorporated a 3D shaped cube that makes it stand out in the crowd. It’s a lot different than the regular fish tanks and surely a treat to the eyes. 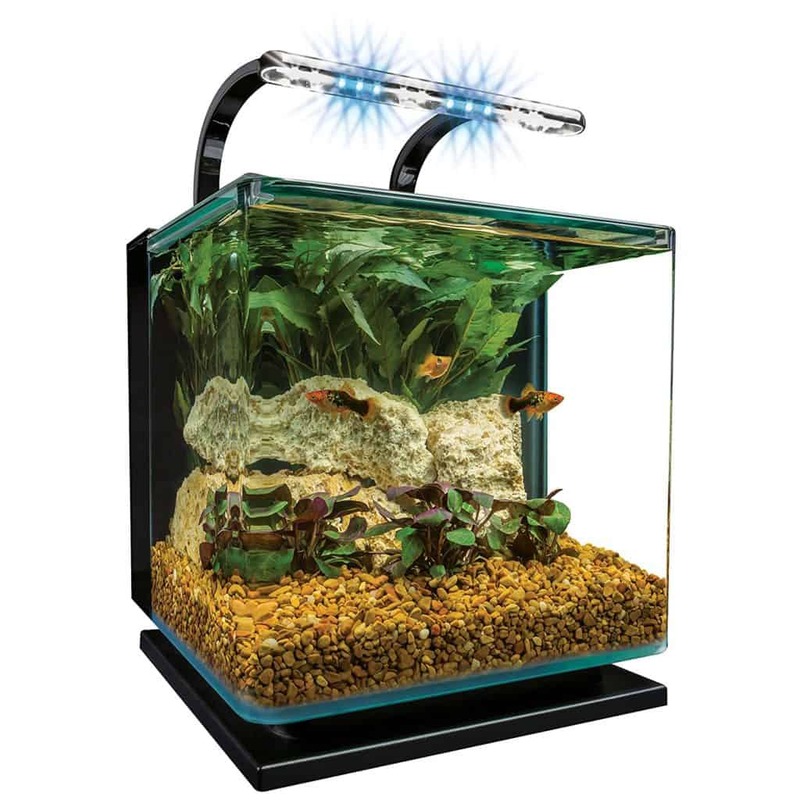 It includes an LED light with high quality that offers three different settings to enhance the beauty of the aquarium. The natural light will give you a clear view of the fishes and the décor inside. The bright daytime setting will mimic the sunlight and the night setting will mimic a moonlit night. The Fluval Edge comes with a high-quality filter that thoroughly cleans the water and removes all traces of toxic substances. The filter operates quietly so it will not be a bother even if you keep the tank in your room. Fishkeeping is a hobby that requires a lot of dedication and hard work. The road to successful fishkeeping is paved by having the right kind of tanks and kits to provide the fishes with a favorable environment. There are tons of fish tanks out there but it’s important that you get the right kind for your precious little aquatic buddies. It might seem like a simple job choosing the correct tank. However, there are multiple factors that you should consider before making the ultimate decision. We have gathered some of the most important factors that one must consider before the purchase. Budget is important for every purchase decision. You’ll not get something out of the world with a mediocre price range. However, we have reviewed some excellent fish tanks that come at a very reasonable price with top-notch performance. Make the decision wisely and ensure that you get a good value out of your purchase. There’s absolutely no point getting a tank only to have it broken or leaked after a few days. Make sure the investment you’re making is worth it. The construction of the tank determines how durable the tank will be and how long it will last. Also, the material used for the tank plays an important for the durability of the tank. Before buying the tank you must decide what type of fishes you want to keep in the tank. All fishes don’t thrive in the same water condition. Some fishes are extremely delicate and they need constant care as well as a favorable atmosphere to live. Some fishes require a large amount of space to live a healthy life. Avoid keeping large fishes with the small ones as the bigger ones tend to eat up the small ones. Also, don’t keep aggressive breeds with the gentle ones as they’ll be frequently attacked upon. So always check the fish compatibility chart before adding livestock in your tank. A proper filter is a must for every fish tank. Without a good filter, your fishes will be surrounded by their waste, uneaten foods, and toxic substances. A good filter will effectively remove all these impurities and create a healthy environment for the fishes. 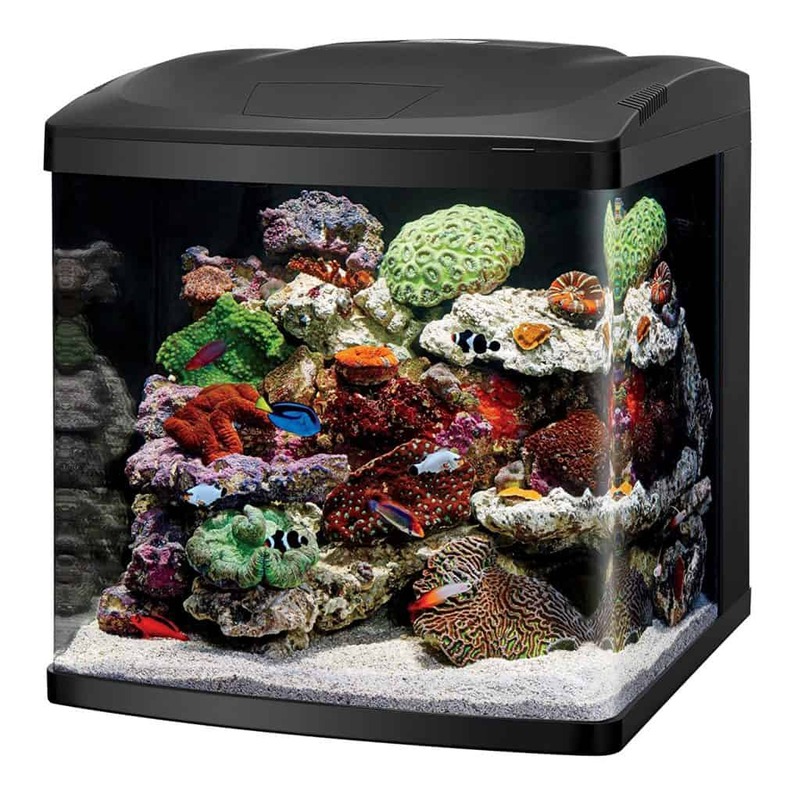 Most fish tanks that we reviewed in this article come with their own filter. However, if the tank doesn’t contain then get a powerful filter that will perform both mechanical and biological filtration and it possible chemical filtration too. The heater also bears massive importance as different fishes favor different temperature condition. 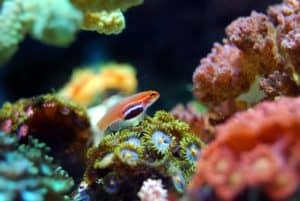 Getting a tank with preset temperature will limit the type of fishes you can keep because a high temperature is only suitable for the tropical fishes and a low temperature is suitable for cold water fishes. Getting a tank with an adjustable heater will be the wiser choice as it broadens the horizon of the kind of fishes you can keep in the tank. Also, not all tanks come with a heater of their own so if you get the heater separately then make sure the heater is compatible with the tank. Fish tanks come in a variety of sizes and shapes. The size of the tank depends heavily on the number of fishes you’re planning to keep and their size. It’s extremely important to provide the fishes with enough space so that they can freely swim across the tank. Having too many fishes in a small tank will make the fishes sick and suffocated. If you’re a novice aquarist, start with a small tank and gradually go up the size. Bear in mind that larger tanks are harder to clean and maintain so choose the size wisely and purchase the tank that you can properly maintain. What good would be a fish tank if you can’t have a proper look at them to enjoy their mesmerizing beauty? Light not only helps you to have a better look at the fishes but also helps some of the plants in the tank to make food for themselves. Most of the fish tanks we reviewed come with excellent LED lighting that will enable you to have a clear view of the fishes. Many of them can mimic sunlight and moonlight settings to give the fishes a more natural feeling. Once you’ve got the tank it’s high time to glam up the tank. Adding some decorative pieces will not only brighten up the tank’s looks but it will also give the fishes some places to hide and play. Attaching a nice photo from deep down the ocean will enhance the beauty of the tank to a great extent. You can download the photo from the web or something from your own collection. Make sure you attach the photo inwards so the viewers can have a look at it while the fishes swim across the tank. Also, these photos can be easily replaced if you get bored seeing the same picture over and over again. Adding live plants or decorative plants will increase the beauty of your fish tank to a great extent. These plants will also help you cover up equipment such as filter or heater that may look odd inside the tank. 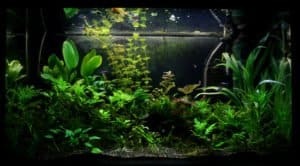 Make sure the plants don’t hinder the frontal view of the aquarium and choose the size as well as the texture of the plants accordingly the size of the tank. Plants can easily survive inside a tank given the right condition is provided. These plants will also work as a filter as they consume nitrate that’s produced as waste in the tank. They will also take in carbon dioxide and release oxygen that will help the fishes breathe. Putting up colorful corals, sand, rocks, and other decorative ornaments will make the tank look more vibrant. You can opt for a color combination to match up with the room or you can also go for a look that more similar to the natural habitat of the fishes. It’s important that you don’t put up something that will hinder the lifestyle of the fishes. Here are some products that you should avoid putting in the tank as they would make the water environment toxic or overcrowded. Woods rot away if they frequently come in contact with water. Don’t put wood inside the tank unless you’re sure that it has a protective coating that will not let it rot away. If you have a freshwater tank then avoid having shells and corals as that would increase the calcium content of the water. Avoid having a glass with sharp edges or with excessive chemical content. Don’t put ceramic decorative items inside the tank as that will make the water unhealthy for the fishes. Plastic is an absolute no-no when it comes about aquarium tanks. It’ll create a toxic environment for the fishes. To increase the longevity of the tank and a safe water environment for the fishes, it’s extremely important to do proper maintenance of the tank. We have come up with a few basic tips that will help you with the process. Changing the aquarium water on a regular basis bears significant importance in creating a favorable atmosphere where fishes can thrive and live a happy life. Tap water contains chlorine which is harmful to the fishes so use a water conditioner to neutralize the chlorine and make it suitable for the fishes. The filter is one of the most important equipment of a tank as it eliminates all the impurities and toxins from the tank. It’s very crucial that the filter is serviced on a regular basis so that it can deliver the best performance. Make sure that you use fresh water to clean the filter. Do not use any chemical products or any don’t scrub it harshly as that will kill the beneficial bacteria which helps to keep the tank environment healthy. Overfeeding the fishes is a bad idea as that would make them excrete more which will create an unhygienic water environment. Not only that but overfeeding them will also make them unhealthy and may even lead to deadly diseases. Make a proper routine and feed them accordingly to that. Feeding the fishes twice or thrice a day in optimum amount will help them grow better and keep them healthy. Fishes are definitely a bundle of joy and having a few in the room is surely a treat to the eyes. As a pet owner, it’s your duty to provide them with a favorable environment when they can live a healthy life. There are many fish tanks available in the market and it’s vital that you choose the one that fits your requirements. In this article, we have reviewed the best fish aquariums available in the market. There are multiple factors that play a crucial role and we have included them to help you with the decision. Make your decision wisely and create an ambient environment for your precious aquatic buddies.